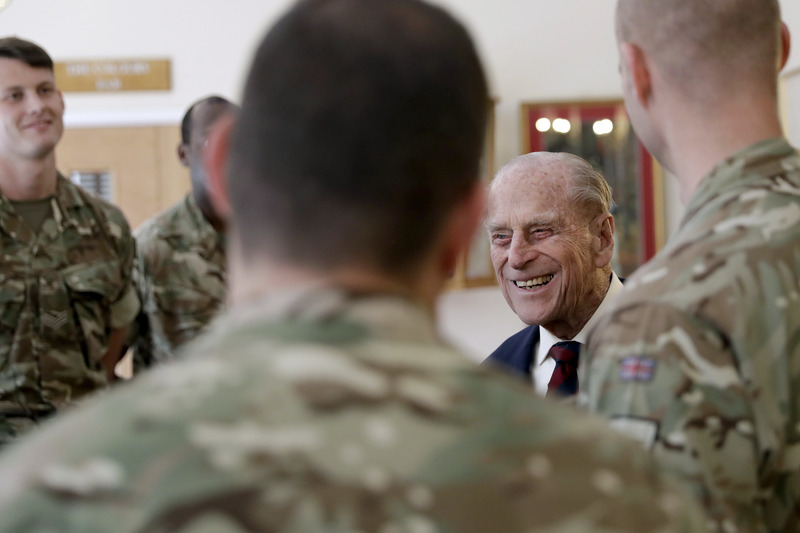 The Duke of Edinburgh has been the Colonel of the Grenadier Guards since 1975 and has visited the Battalion on many occasions, including UK based exercises and on operations. His Royal Highness still takes a lively interest in the regiment's work, and during the visit The Duke received a Battalion briefing so he is up-to-date with their activities. The Grenadier Guards are an elite British Army infantry regiment who are world famous for their red tunics and bearskins, and they can often be seen guarding the Royal Residences. 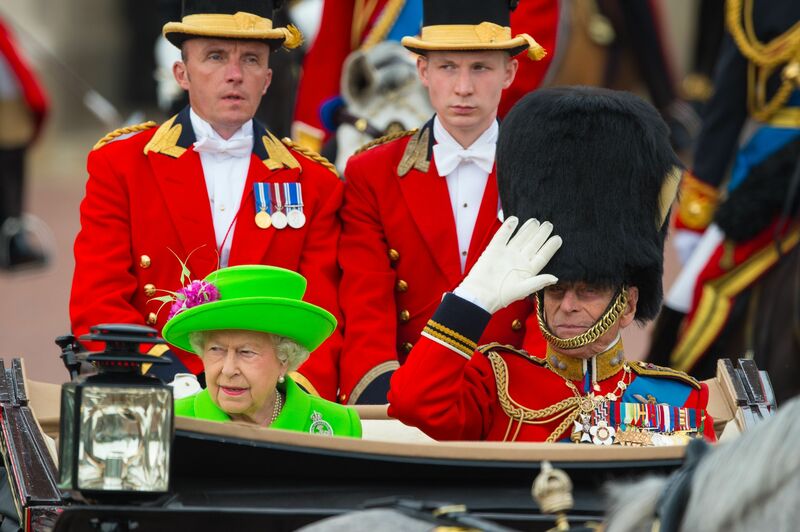 At ceremonial events, such as The Trooping of the colour, The Duke wears the uniform of the Grenadier Guards. 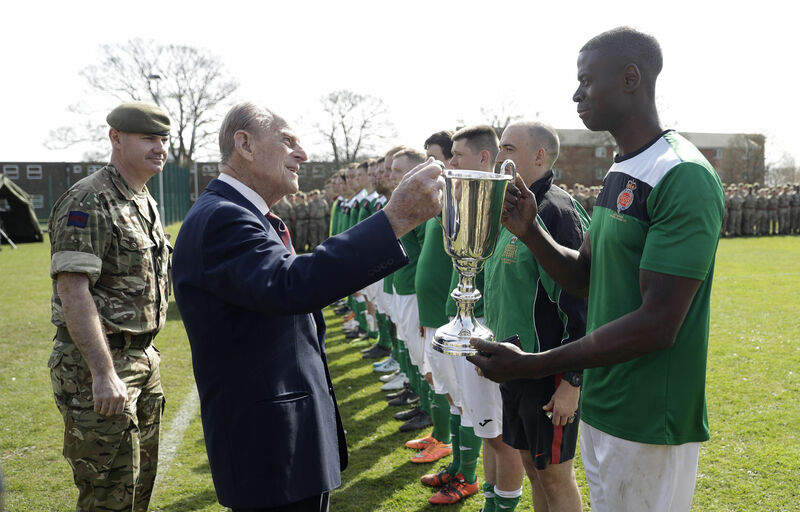 Every year the regiment hosts an inter-company football competition known as the 'Manchester Cup'. The Duke was able to watch the final which this year was between the Support Company and the Nijmegen Company. The Support Company were this years champions and they were presented with their trophy and medals by His Royal Highness. 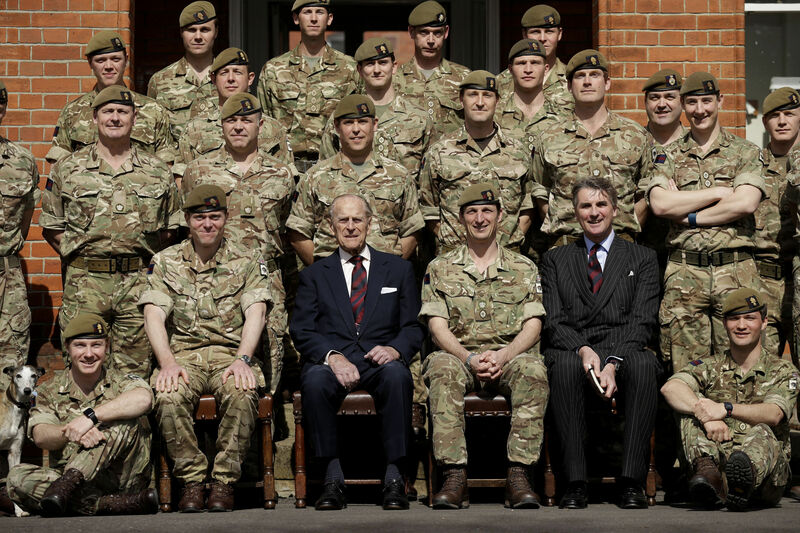 After the football match The Duke was able to meet and chat with a number of soldiers in the Sergeants' Mess before having lunch in the Officers' Mess.